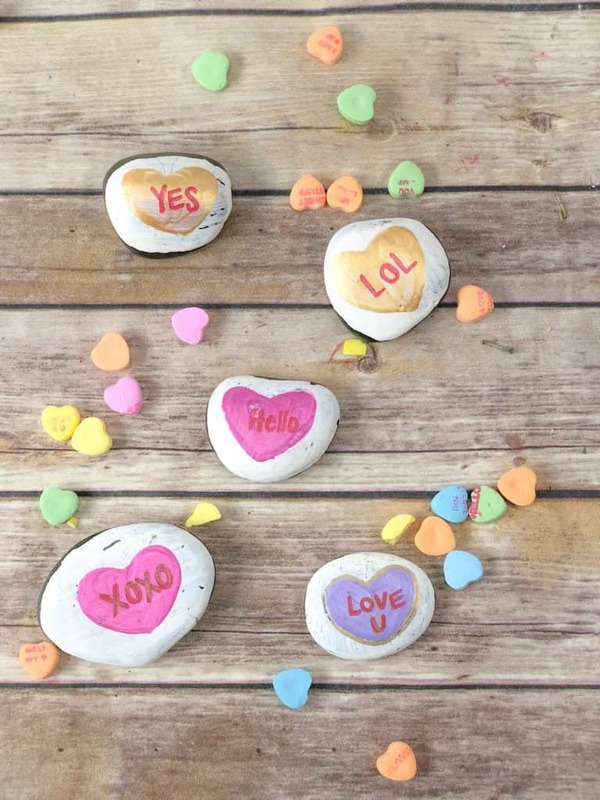 These conversation heart painted rocks take a spin on a classic Valentine’s Day treat. 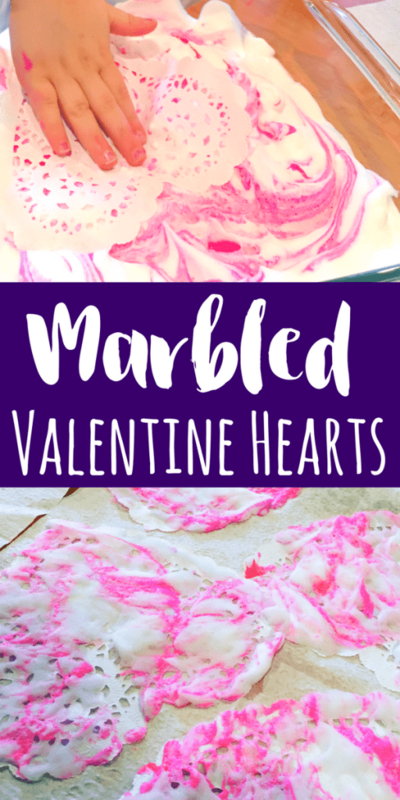 Kids can play with or exchange these heart painted rocks! 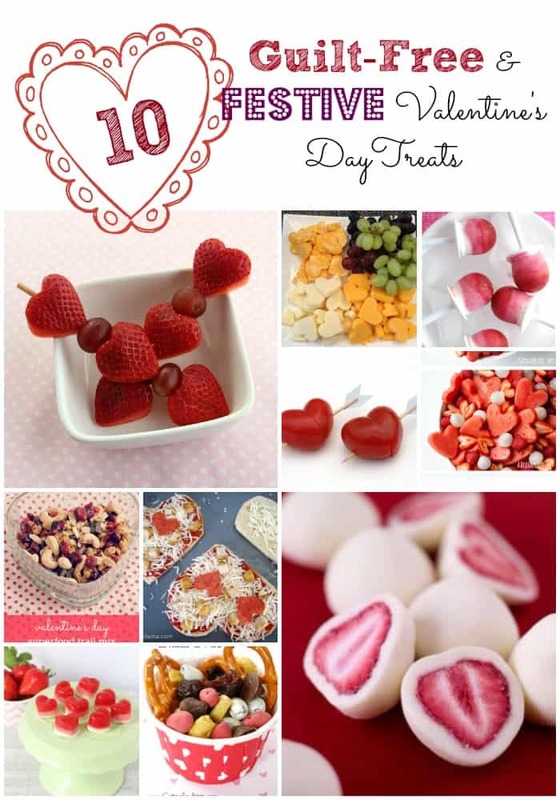 When I think of Valentine’s Day and my childhood, conversation hearts always come to mind. 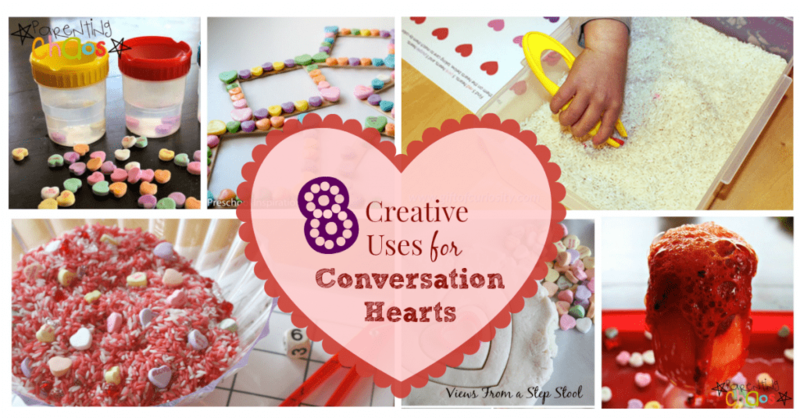 I love to find fun arts & crafts that I can do with my kids that incorporate conversation hearts around the holiday. 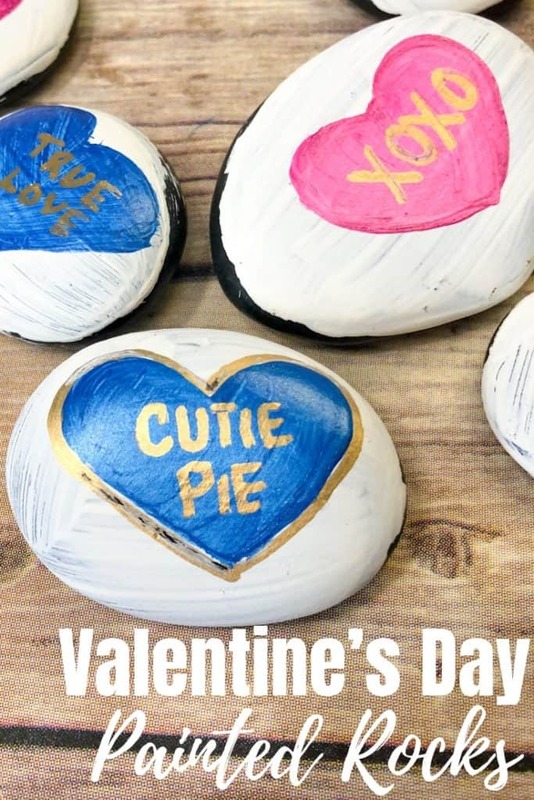 These Valentine’s Day painted rocks are so fun to make and play with! 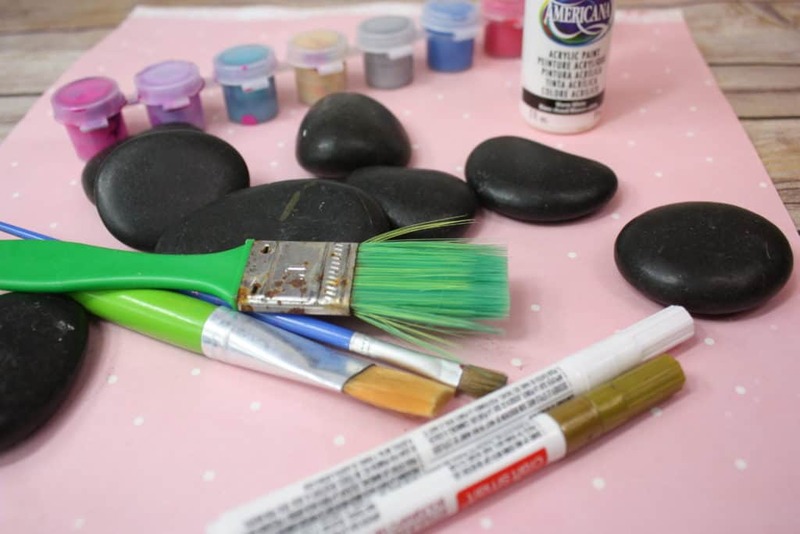 My kids love to play with painted rocks as DIY toys. 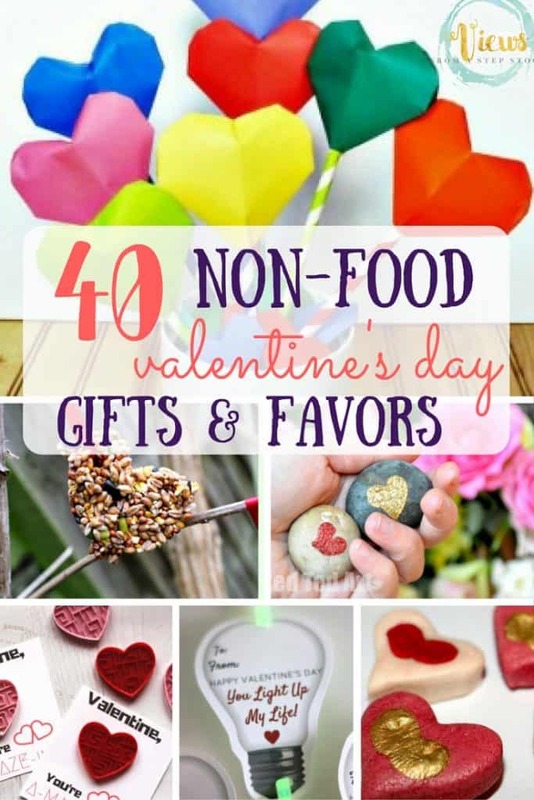 They magically come to life and are the perfect little figurines. 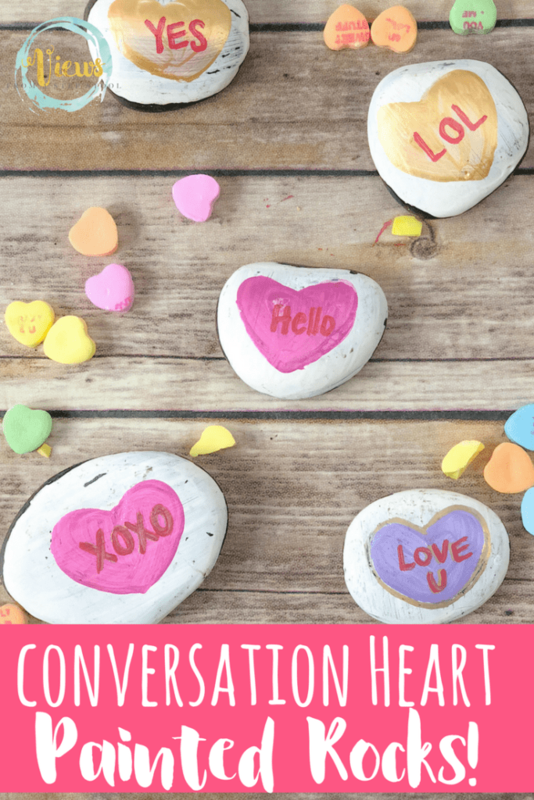 They have been building houses for them out of Magnatiles and have enjoyed reading all of the fun sayings, exchanging rocks with one another and cracking up! 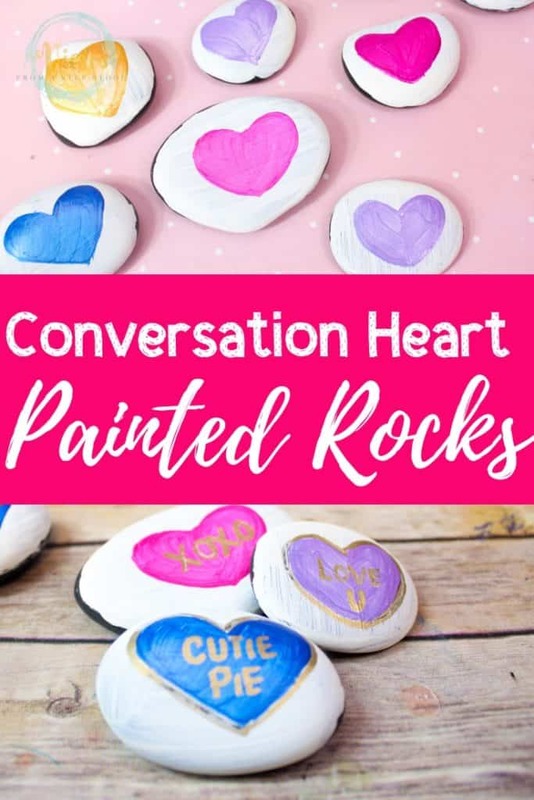 Paint or draw hearts on the rocks. 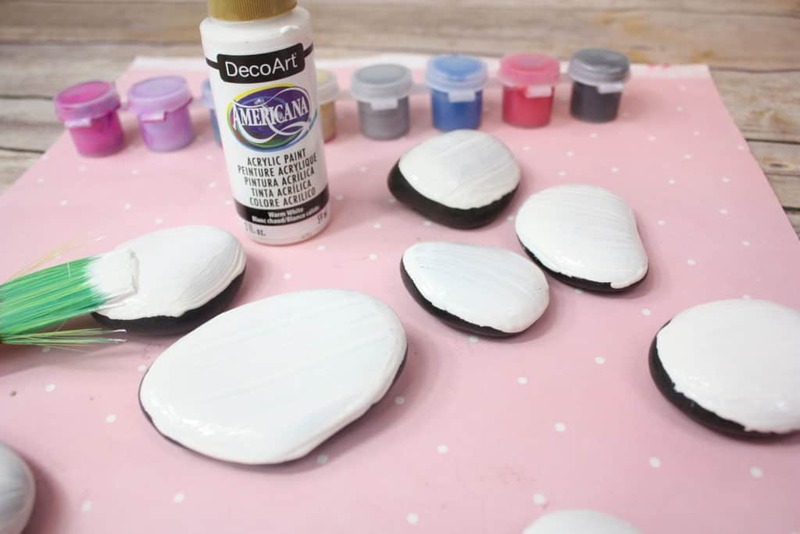 I love these metallic paints, but paint pens would work for this step too, and might be slightly easier for kids to use themselves. 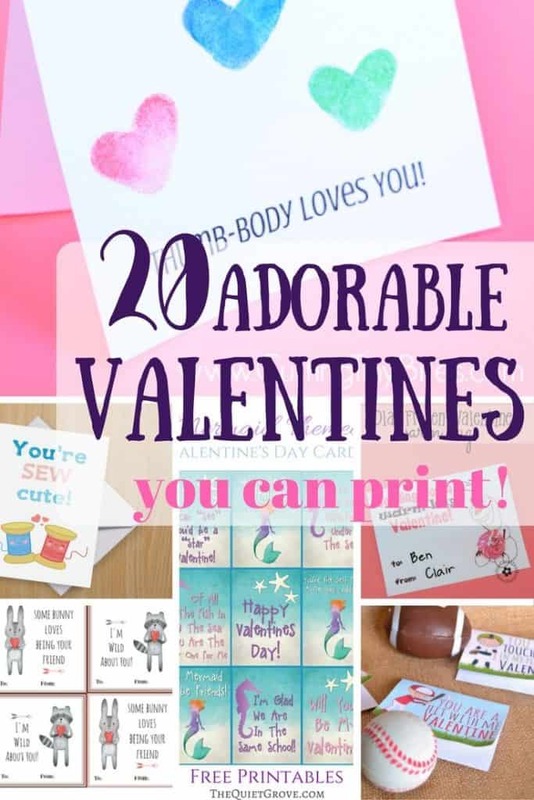 I did an outline with a paint pen, and then had the kids fill in the hearts from there. 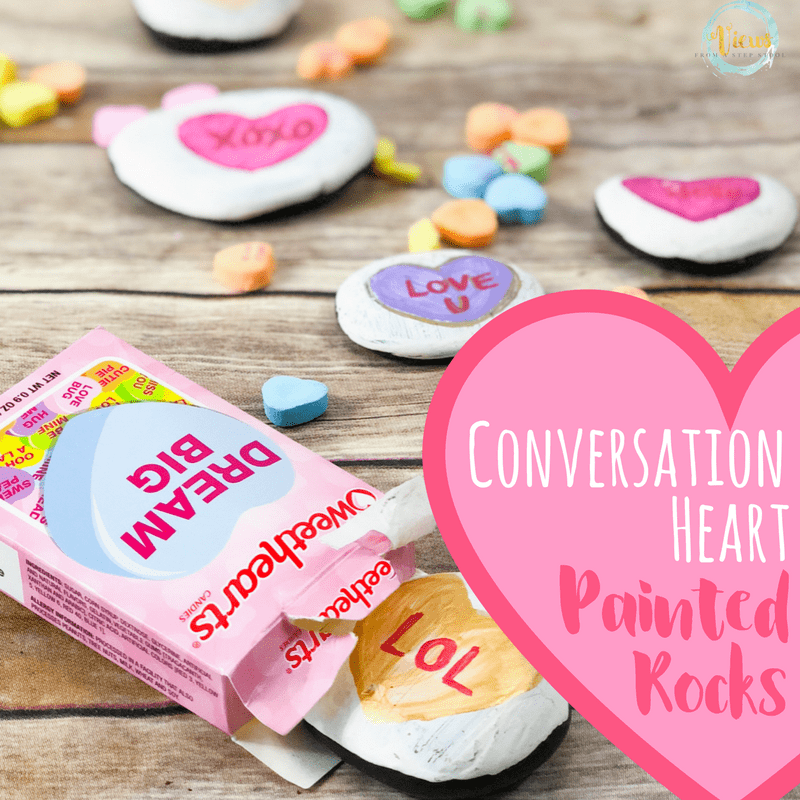 Then, using a red and gold paint pen, wrote on the heart painted rocks (once dried) with exact sayings that we found on conversation hearts. 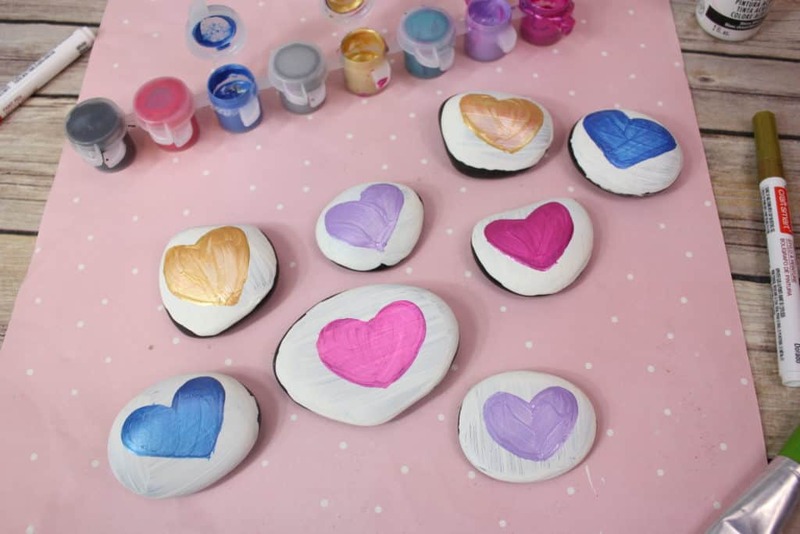 These heart painted rocks were so much fun to make and we are loving playing with them!